Both canned and fresh tuna are healthy sources of omega 3 fats, which have been shown to contribute to lower blood pressure and prevention of heart disease and stroke. Omega 3 fats are also associated with reducing inflammation which can boost the body’s ability to fight other chronic diseases like breast, prostate and colorectal cancers and macular degeneration. Omega 3 fats are also important for fetus development and improved infant health outcomes. For adults, they play an important role in brain health, preventing Alzheimer’s disease and other dementia. 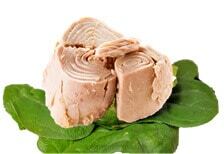 Good and bad: Tuna is a good source of protein which is also high in niacin, B12 and the antioxidant mineral, selenium. Most canned tuna sold in supermarkets is either white albacore, or a combination of skipjack and yellowfin. Both canned and fresh tuna have similar nutritional values. Canned tends to be less expensive but is also higher in sodium. Fresh has a less “fishy” taste but is more likely to be farmed, exposing it to increased contaminants and toxins. Tuna can be high in mercury, a toxic heavy metal, from coal-fired power plants that pollute ocean waters. Larger fish have higher mercury levels than smaller fish. Chunk white tuna, mostly albacore, is 3 times higher in mercury than smaller skipjack and yellowfin, the breeds used most in canned tuna products. How much tuna is OK? According to the Environmental Defense Fund, children under age 6 can safely eat 3 ounces per month. Older children can consume once a week and the USDA recommends 3 oz of tuna twice/week for adults. Pregnant and nursing mothers should limit tuna intake to reduce chance of mercury affecting fetus development. Mercury-free sources of omega 3 fats come from plants including flax and chia seeds, walnuts and soybeans. These plant sources have an added bonus that they also contain healthful fiber. Since algae is also a good sources of omega 3 fats, dried algae can be used in soups, on salads or rolled with rice in sushi for added omega 3s. Foods are preferred over supplements since foods also contain other compounds which help your body absorb and use omega 3 fats. 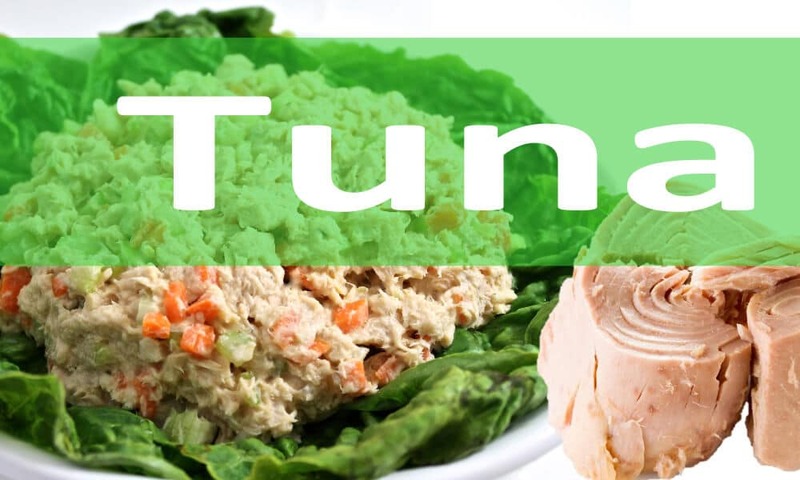 Try adding tuna to salads, soups or pasta dishes. Cream with mayo or yogurt for sandwich fillings, or press into patties for “burgers.” Serve on cottage cheese or lettuce beds. Sprinkle tuna with flax or walnuts for an omega 3 boost.